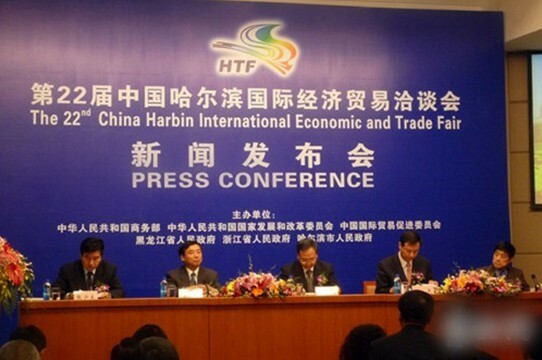 Home About Us Company News SBM will attend the 2011 "Harbin Trade Fair"
From June 15, 2011 to 19, 22th, China Harbin Economic and Trade Fair ("the Harbin Trade Fair") will be held at the Harbin International Convention and Exhibition Centre. As the window and bridge of development of Russia, CIS and countries of the world market, "Harbin Fair” has been successfully held for 21 sessions since 1990, with a total of more than 160 million customers from more than 80 countries and regions participating in the fair The total turnover is more than a thousand billion dollars. The current "Harbin Trade Fair," has a total of 3,000 international standard booths, indoor and outdoor exhibition area is 86,000 square meters. There will then be more than 10,000 overseas merchants and more than 10 million domestic customers from more than 80 countries and regions who will participate in the fair.SBM will also carry the latest research results and best-selling product to the exhibition. Welcome to attend the trade exchange. Shanghai Shibang Machinery Co., Ltd. In 2011 "Harbin Trade Fair"